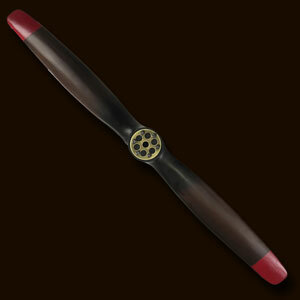 Ref: AP150 Wood propellers used to be replaced as often as tires. Old ones were usually taken home, completed with a clock, and hung over the mantel. Mechanics, pilots, flight-crew. They wore propeller tiepins and badges and transformed propellers into memorabilia. A continuation of a flight-tradition.